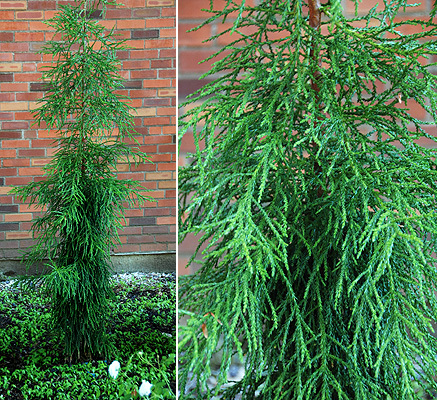 Evergreen conifer, small to medium sized tree, to 30-65 ft (9-20 m) tall, conical shape, sparsely branched, with whipcord-like branches. 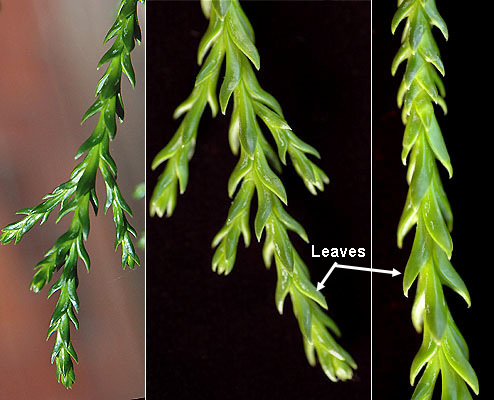 Leaves 4-6 mm long, awl-shaped to lanceolate, thick, slightly diverging from the branch, apex curved inward, margin not toothed, Pollen cones have 2 pollen sacs, 3-5 mm long. Female (seed) cones in pairs, densely clustered on ends of short shoots, ovoid, bright yellow or pale, 1.5-3 cm. wide. 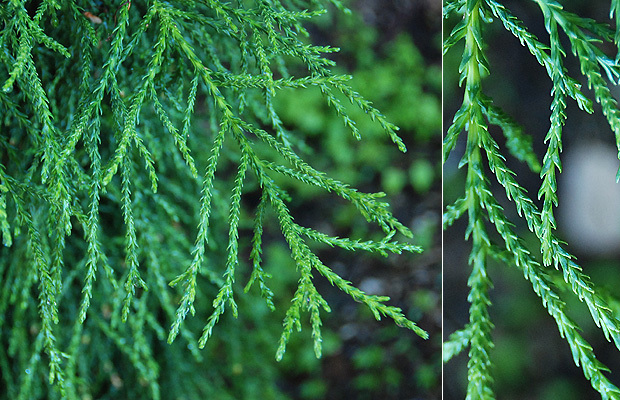 A. laxifolia often appears intermediate between the two other species, A. cupressoides and A. selaginoides, and there is some suspicion that it is a a natural hybrid between the two. Best in full sun and well-drained soil. Hardy to USDA 7 Native to the mountainous region of western Tasmania, Australia.